Home Unlock Huawei How to Unlock Airtel E5573cs-609 Huawei MiFi Router ? How to Unlock Airtel E5573cs-609 Huawei MiFi Router [Firmware 21.318.09.00.284]? Now unlocking of Airtel and Idea locked Huawei E5573cs-609 MiFi routers of India is possible. Idea locked Huawei E5573cs-609 MiFi routers not available any more in Indian market. It comes with WebUI version 17.100.15.01.356 and firmware version 21.318.09.01.356. It can be unlocked by boot shot method, which is not recommended. Airtel India has launched Huawei E5573cs-609 routers which was earlier coming with firmware version 21.318.09.00.284 and now coming with 21.329.63.00.284 (and 21.329.63.01.284). Both these (higher and lower firmware version) Airtel locked Huawei E5573cs-609 can be unlocked without opening the screws. Means, there is no boot shot method is involved. Just run our software and unlocking will be done within a minute. Note : For Idea E5573cs-609, there is also a separate software that will unlock without opening the screws of the device. Note II: If you need unlimited unlocking of Airtel E5573cs-609, you can contact us. 1. Download the Airtel Huawei E5577S-cs-609 unlocker software. 2. Once you will receive the file, extract it on PC using WinRAR software. 3. Run the Airtel Huawei E5573cs-609 unlocking file and copy hardware id and reply comment box. 5. Once the correct details received by our support team, he will comment with registration key and registration name. 6. Now switch off Airtel E5573Cs-609 and change the sim with other operator. 7. Press and hold reset+power button. 8. The device will start blinking. 9. Connect with USB cable to the same PC through which you had generated hardware ID. 10. It will install drivers, if not then run from here. 11. Now run Airtel E5573cs-609 unlocking app again. 12. Fill the registration details, which you had got in email. 13. It will automatically change the firmware and unlock your Airtel E5573cs-609. 14. It will restart the device automatically and Huawei WebUI page (192.168.8.1) will be opened. 15. Now you can connect to the internet. Unlocking of Airtel India Huawei E5573cs-609 is Rs. 400 which you can pay through PayuMoney. 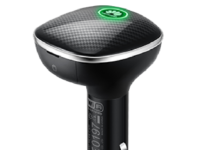 It is premium solution, no need to open the screws of the device. Previous articleHow to Unlock Samsung Galaxy J4 Core? 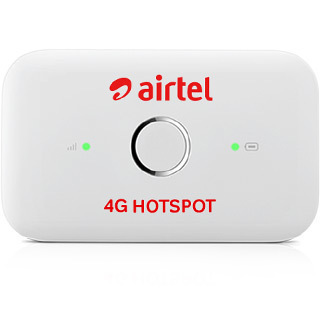 Next articleHow to Unlock Airtel & Idea ZTE MF90 Router (White & Red)? and download the software which is compatible with firmware version 21.329.63.00.284 and provide me new hardware id. Login to the device and copy system information here. Hey, I needed some help with the unlocking. I had commented, and got an unlock code as is mentioned in the link for unlocking Airtel 4G Wi-Fi Router. However, when I entered the code, it said that the registration was successful, but nothing happened after that. The URL didn’t open, and the Huawei UI was also not installed. I tried to use the same application again, but now it shows that the product registration itself wasn’t successful. What should I do? Provide new hardware id, we allow from 2 attempts at a time. How do I generate new hardware ID? Run the downloaded app and run on your PC, copy and send me hardware id again. This is what the hardware ID is. Hey, mate. What should I do now? I have been waiting for the key. Hey, I don’t know if you have seen the previous message. I did not know if the drivers for the Huawei device were correctly installed or not, so I checked in Device Manager, and it was showing an error. Anyway, I have installed the drivers from the link on this page now, but I am still unable to use the key to register. Please help me out? Hello Sir. I think i ran the application twice with out realizing that my modem was not detecting due to driver issue. Fixed the driver issue now but the application no longer works..can you help with a new key? Provide the hardware id, will be updated tomorrow. I managed to hit update instead of cancel in the admin page and now my router is updated to 21.329.63.00.284. I have downloaded the newer unlock file and have also left you a comment there.. the hardware ID remains same..please help with the code..
WILL IT BE WORK ON 21.329.63.00.284 VERSION? You can pay as mentioned in the post. Today I have make a payment of Rs 600 to your account for my device. Kindly send me the key and the registration name.